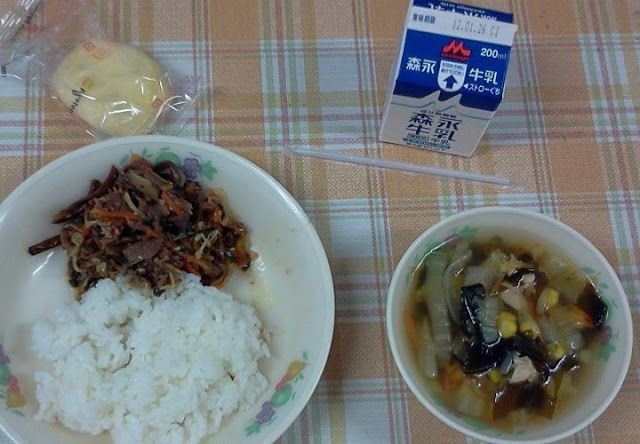 Contents: Vegetable soup, bibimbab (korean rice dish), apple and milk. Notes: That soup looks awesome! Make sure to follow What's for School Lunch on Facebook! You can upload pictures and share stories.